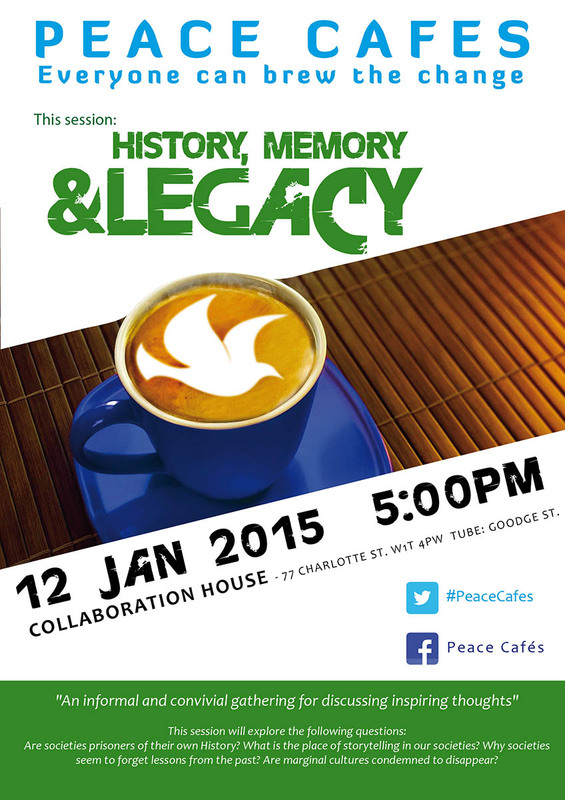 The next Peace Café is on 12 January at 6pm (come earlier if you want to cook or reheat – doors open 5pm) at Collaboration House, 77 Charlotte St, W1T 4 PW (Goodge St tube). Bring some food to share and your own experiences & ideas. Let us know if you plan to come along!